The SquatGuide™ (Patent # 9,446,284) is a revolutionary fitness product that is designed to help develop and maintain perfect squat form. Appropriate for people of all ages and abilities, it's like having a physical therapist or strength coach with you at all times. If you've never performed squats for exercise before, perfect! The SquatGuide™ will aid in developing a perfect pattern to ensure you do this great movement safely. If you are experienced in performing the squat, perfect! The SquatGuide™ will point out restrictions and compensations you need to address. If you teach patients, clients or athletes how to squat and find yourself having to consistently cue them into good position, perfect! The SquatGuide™ can do this for you so you may focus your energy and time on teaching new skills as they continue to hone their squat independently. 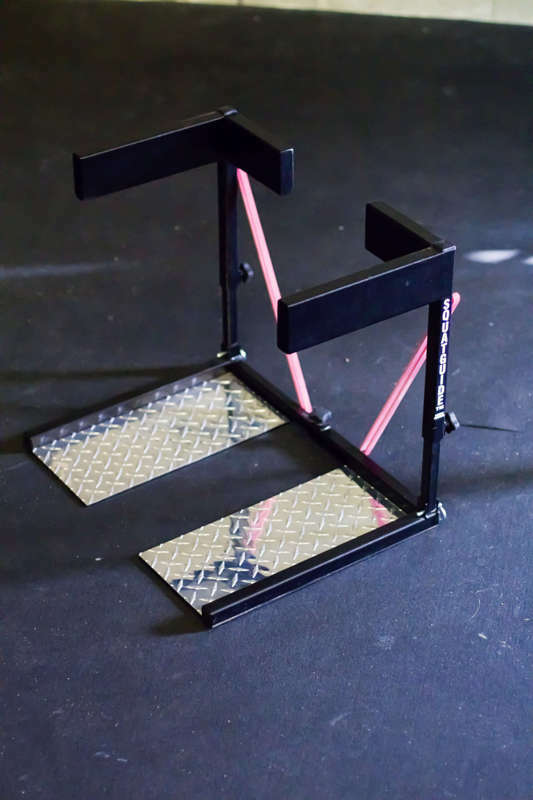 SquatGuide™ is the only piece of exercise equipment designed and engineered to help people develop, improve and maintain proper squatting pattern. 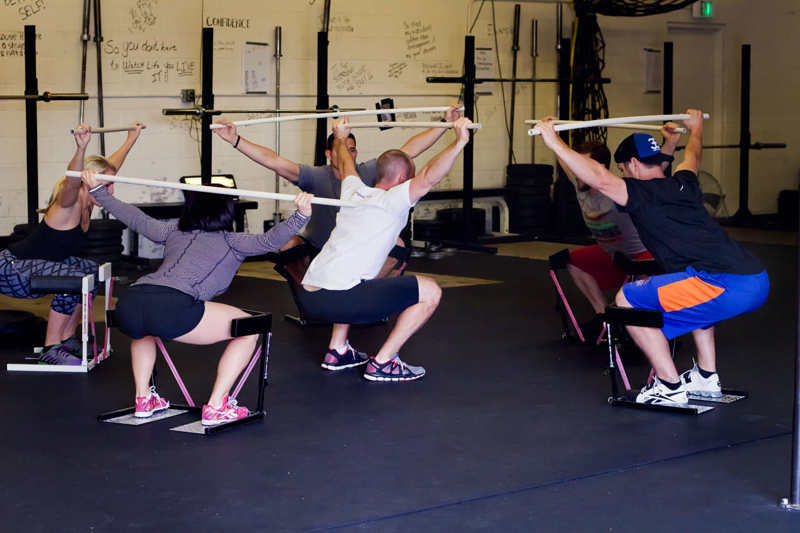 Squatting in its many variations and forms is a movement that humans must perform many times daily. What we see in human development is that as toddlers and young children, we squat with impeccable form and use this movement to safely achieve low positions, lower loads to the ground and pick items up off the ground. At some point as we age, most humans stop squatting correctly. 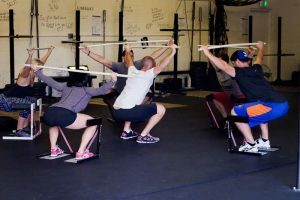 Squatting incorrectly can cause a myriad of different musculoskeletal injuries and pain and is compounded when people try to use squatting incorrectly as part of their workout or fitness regimen. Squatting correctly has tremendous benefits. It can prolong independence as we age as it will strengthen the lower back, hips and thighs in a fashion that suits human biomechanics perfectly. Squatting well allows mothers to pick up their children safely, grandmothers to continue gardening, grandfathers to get on and off the toilet and fathers to look on the bottom shelf of the fridge. Until now, there was no product on the market that could help guide the masses on how to again perform this movement correctly. It is argued that not everyone will squat the same given the idiosyncrasies of each individuals build. This is true and is why The SquatGuide™ is customizable. There are squatting guidelines by which this product is designed that can help everyone develop an maintain safe and efficient form. 1. Do not let your knees go too far forward in the sagittal plane (observing from the side). These two simple tips are used by rehab specialists, strength coaches and fitness experts all over the world. These two guidelines are also desirable no matter the width of your stance or the degree your toes turn out. Basic recommendation is to set width so that users heels are shoulder width apart when their toes are in the corners of the stance plate. The front guide bars (anterior knee guides) essentially block the user from letting their knees move too far forward (basis of design idea # 1). This forces the user to then achieve increasing depth through the hips while simultaneously keeping their weight from moving to the forefoot. This prevents over reliance on the quadriceps muscles and anterior knee pain while increasing stability at the feet and recruitment of the hip and hamstring musculature. These anterior guides provide an external cue by blocking undesired knee movement. 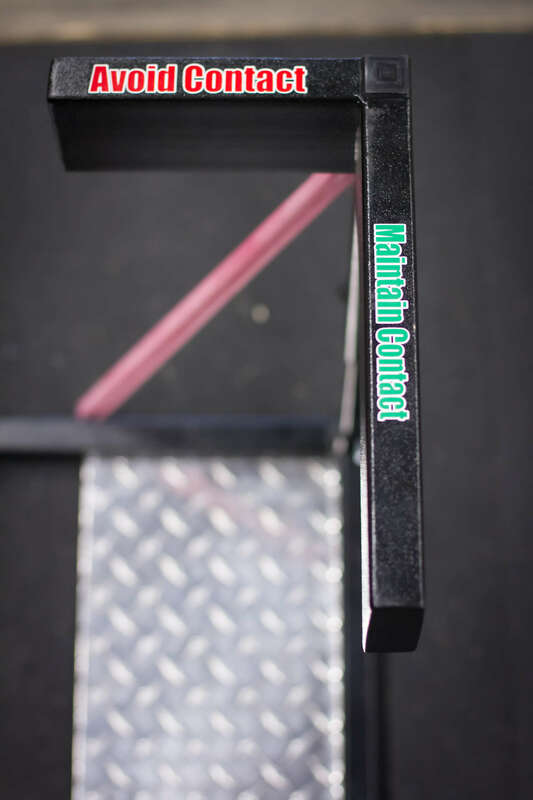 The outer guide bars (lateral knee guides) are for the user to remain in contact with during the movement. The guides are in line with the outside of the users feet. 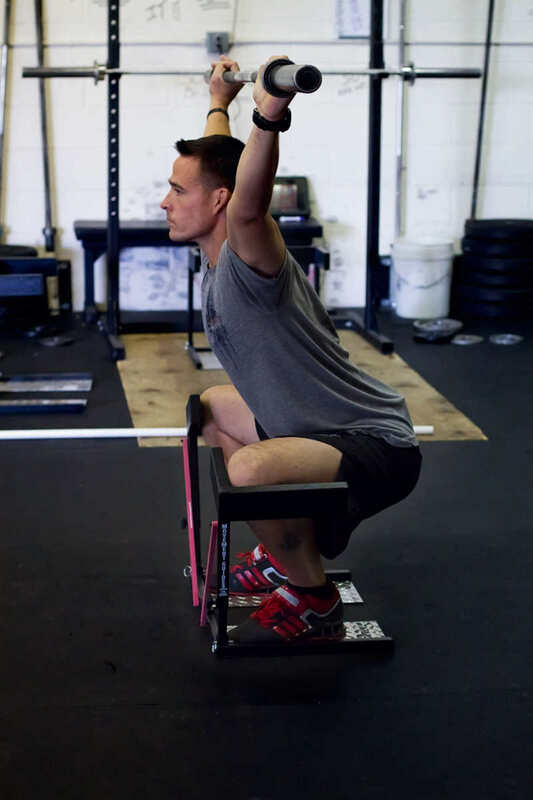 This requires that as the users descends into their squat their knees are kept out of medial collapse. 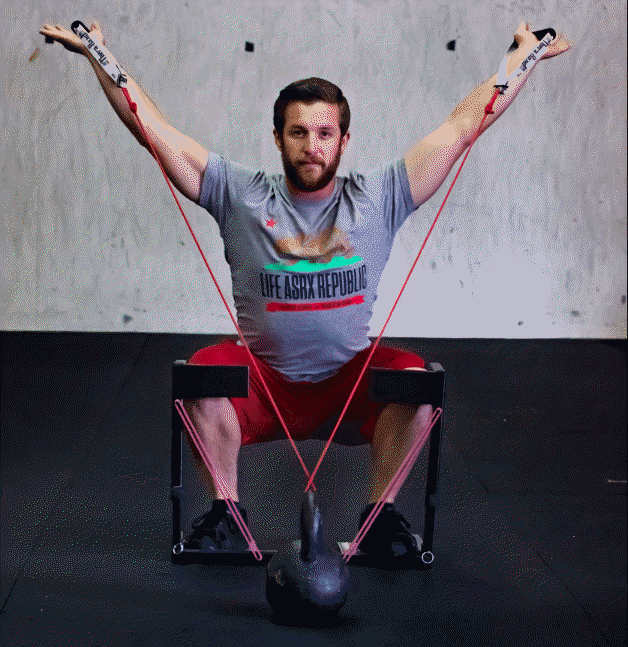 This prevents undue stress to the medial structures of the knee, clears the femur away from the the hip socket to reduce impingement, allows greater squat depth with out sacrificing spine position, and aids in keeping the foot from falling into a pronated position (basis of design idea # 2). The lateral guides provide an external cue to facilitate desired knee movement. The knee guide posts hinge in the frontal plane only (hinge out laterally, not in or forward) to allow the user to push the knees out further than the lateral foot position if their hip mobility allows and if the user desires to do so to achieve a deeper position. 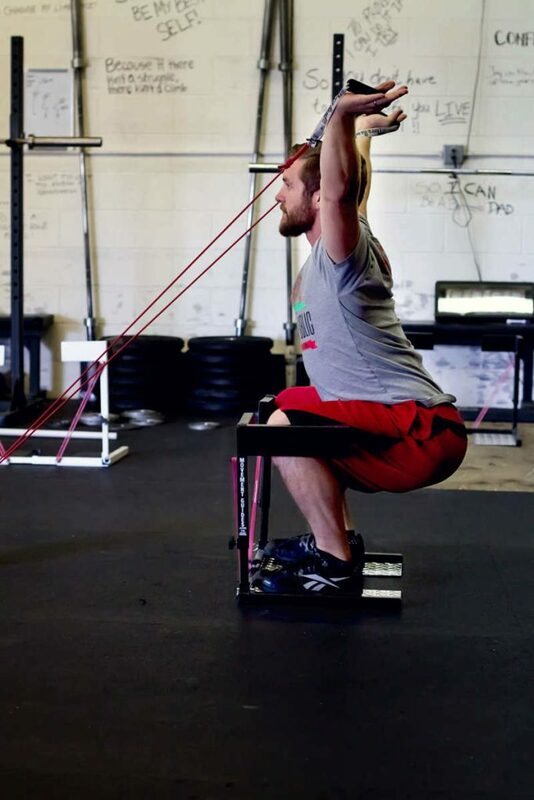 People who squat with excellent form and efficiency see benefit in driving the knees out wider than their stance to maximize external rotation torque at the hip joint. This can aid in gluteal muscle recruitment, allow for neutral spine position and decrease the femoral lever arm to prevent the squatter from falling backwards. Because the user should never let their knees move into "medial collapse" the knee guides will not hinge in. Meaning that if the users knee loses contact with the lateral knee guide they are no longer keeping the knee in the minimally correct or safe position. The guideposts will also not hinge forward as the anterior knee guide must block the knee from moving too far forward. 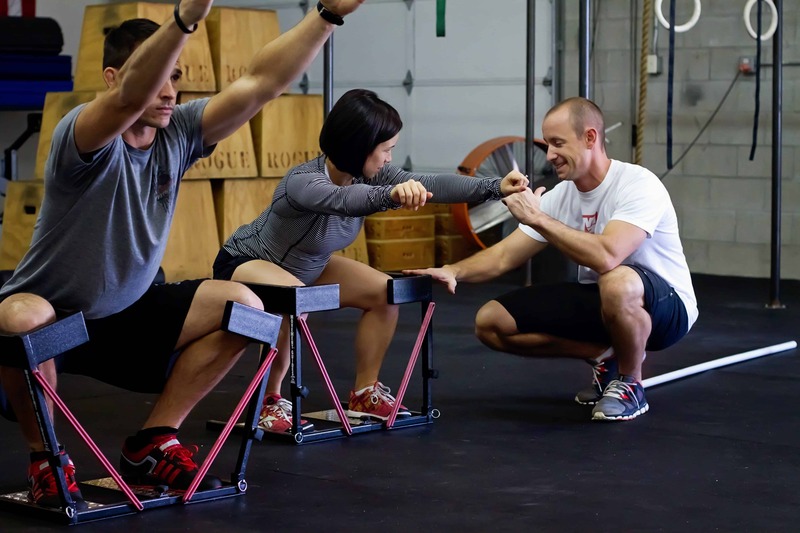 The device is stabilized during use by the users body weight when they set their stance width and stand on the stance plates. This allows for the SquatGuide™ to travel and be used in any space. The stance plates allow for varying degrees of toe out position given that optimal hip and foot angles vary for different users. 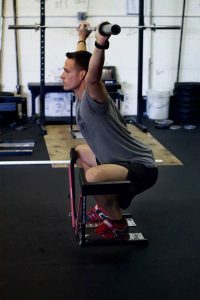 The user is correctly standing on the plates when their toes contact the front and side rails (corners of the stance plates). 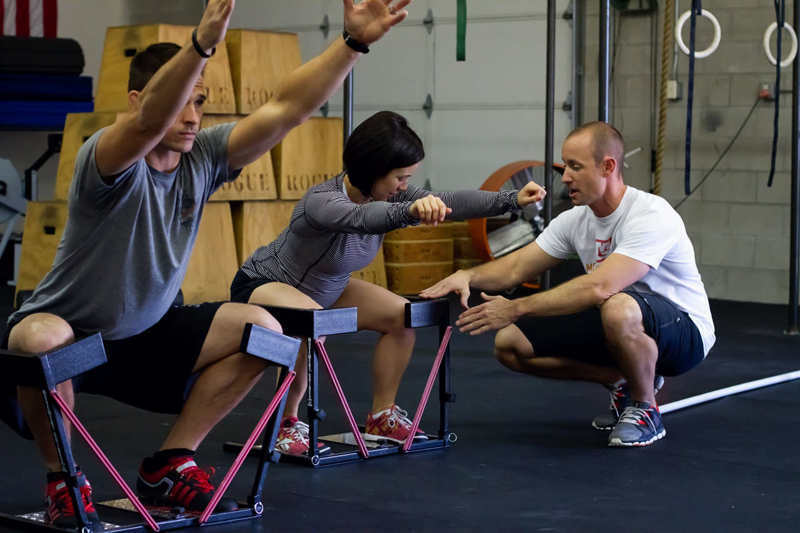 The adjustable stool (sold separately) can be used as a way to track the users squat depth development. 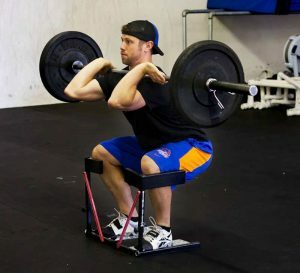 New users may find that squatting correctly is difficult and requires that new muscular strength and motor control be developed in order to squat to full depth. 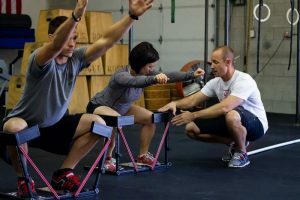 The adjustable seat can give them a guide and goal to measure how low they are getting in their squat with correct form. The seat also allows for a place to rest when needed or programmed and may prevent the user from falling backwards should they lose their balance. The seat is also removable if the user feels that they no longer need to use the seat as they squat to full depth with great control and form. Add the SquatGuide to your mobility tool box today! Lunges - Your only limitation is your imagination! Our SquatGuide™ is a tool used to teach and perfect squat form. Take a minute to watch these interactive videos that demonstrate the unique elements of the SquatGuide™, its undeniable benefits, and the options you receive with your purchase. What is the SquatGuide™? from Movement Guides on Vimeo. Why Buy A SquatGuide™? from Movement Guides on Vimeo. Durability from Movement Guides on Vimeo. Intro, Set-up and Demo from Movement Guides on Vimeo. Assembly from Movement Guides on Vimeo. 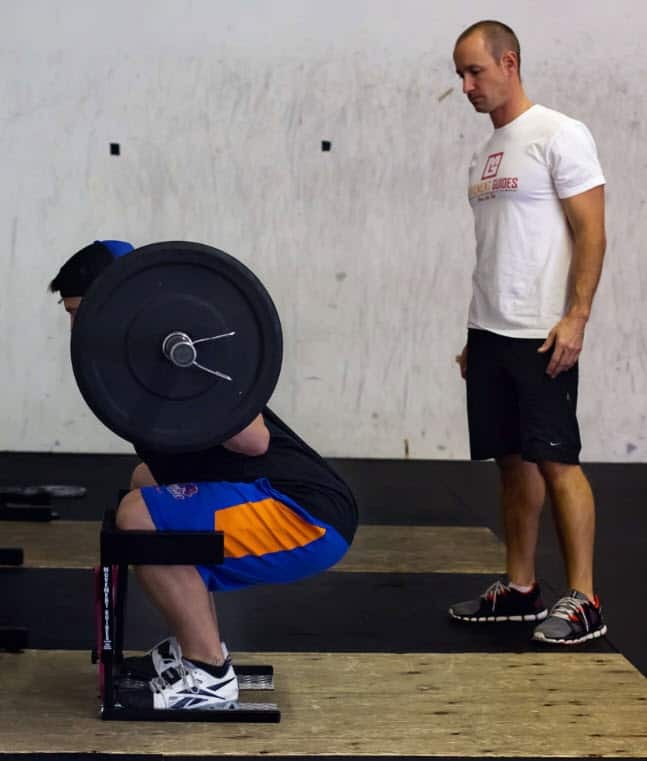 SquatGuide™ Coaching Video from Movement Guides on Vimeo. SquatGuide™ Tips from Movement Guides on Vimeo. SquatGuide™ and Spine Mechanics from Movement Guides on Vimeo.